Explanation: Every step caused the sand to light up blue. 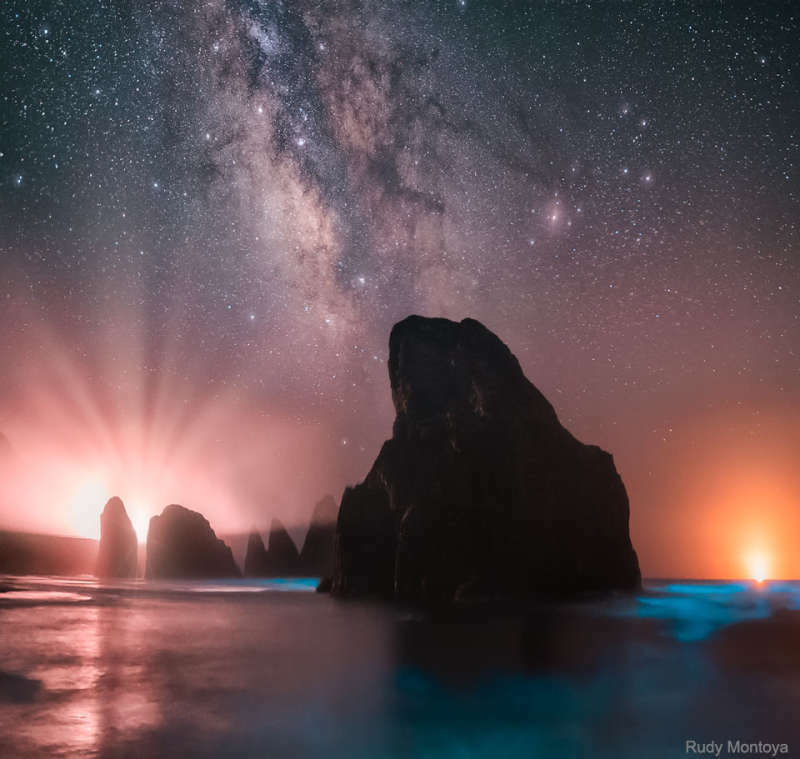 That glow was bioluminescence -- a blue radiance that also lights the surf in this surreal scene captured last month at Meyer's Creek Beach in Oregon, USA. Volcanic stacks dot the foreground sea, while a thin fog layer scatters light on the horizon. The rays of light spreading from the left horizon were created by car headlights on the Oregon Coast Highway (US 101), while the orange light on the right horizon emanates from a fishing boat. Visible far in the distance is the band of our Milky Way Galaxy, appearing to rise from a dark rocky outcrop. Sixteen images were added together to bring up the background Milky Way and to reduce noise.